Over at Kickstarter I found this helmet design, torch. 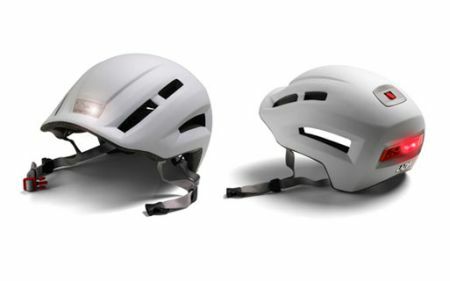 I like the idea of a helmet with lights, indeed thats where I place my rear lights when Im cycling. The biggest downside though of the lights on the rear of your head is not always easy to tell it they are working. I hope they can get this project going, for sure it is a daunting one, as I imaging the light assembly has solid objects, which are not really what you want embedded into a helmet that should collapse of compress upon impact. If you are interested in getting a helmet with lights though, there is another helmet all ready on the market, the Lazer Urbanize.